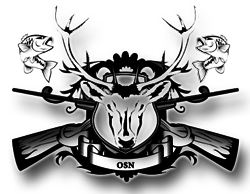 Members-only network for sharing information, asking and answering questions, and connecting with the Outdoorsmen Social Network community. Networking World-Wide, hearing stories, seeing the most outrageous pictures and sharing the same passions, letting those know who you are all over the world! You can also adjust your own privacy settings to whom you want IN or OUT! © Outdoorsmen Social Network. All rights reserved. Like and Follow Brandi Edwards on Facebook!